I love writers who give their readers a glimpse into their own story – the hope, the fear, the questions, the journey – an artist whose style draws you in and helps you discover more of who you are. Let me introduce to you one of my favorite masculine voices. He’s a teacher, a pastor, a leader, a learner, a mentor, a hilarious storyteller, a deep soul…and at the same time, offers himself as a husband and daddy. Welcome to my friend, Brad Nelson…my first guest writer. You can become more fascinated with him at Bleeding Out Loud. One of the most persistent forces in my life is fear. It’s relentless. I swear it’s like being surrounded by a pack of wolves. You beat it back on one side and it advances on you from the other. I feel it most acutely as a writer and a teacher. Whatever it is that I’m trying to say, I’m afraid I won’t say it well. I’m afraid that no one else will think it’s worth hearing. Or worse, I’m afraid that I don’t actually have anything to say in the first place. This is how fear works. It stays at you, wears you down, it chokes out your life, seeks to paralyze and diminish you. Two weeks ago I got an email from a woman who had been feeling the urge to begin writing. She said, “I feel like I’m supposed to write, but it terrifies me. How do you get over the feeling that what you are writing may sound interesting to you, but to someone else it sounds obvious and anything but thought provoking? Is my fear of being judged ever something you had to overcome?” These are great questions because they hit at the heart of what it means to be human. We sense that we have it in us to be and to do so much more, but fear stands in the way. We all have our demons to wrestle with, but it’s in naming and facing our fears that we actually learn to rob them of their false power over us. Speaking of the counter-intuitive embrace of fear, Annie Dillard writes that we need to “ride the demons all the way down.” Why? Because, as Parker Palmer so eloquently puts it, “they are the most reliable guides to the deeper reaches of who we are created to be.” If you can begin to name and then embrace the demons then you’ve begun the journey to those deeper reaches. And the journey matters because we become by doing. People who love their neighbors become people who love their neighbors precisely by making the choice to love their neighbors, especially when they don’t feel anything like love inside them. Or maybe another way to say it is that the way to face fear is to simply show up. Everyday. Its nature is to diminish you, to keep distance between you and whatever it is that’s on the other side. But when you show up day after day, you draw close to it, and the fear slowly becomes a guide. That doesn’t make it easy by any means. Whenever someone makes the decision to overcome fear and live meaningfully, they also open themselves to risk and failure. In his book Story, Robert McKee points out that risk and meaning go hand in hand. You never get one without the other. “To live meaningfully is to be at perpetual risk.” The minute you stop risking, fear wins. Ultimately, I think fear is rooted in the feeling that we’re inadequate. That we don’t have what it takes or we don’t measure up. So we constantly engage in the game of comparing ourselves with others to see where we rate. When I first started writing and teaching I wanted to be great. It was the same when I became a parent. Then I got knee deep in the hard work of writing, preaching, and parenting, and I realized that being great wasn’t the point. Being effective was the point. That was completely disarming. God, I believe, wants his children to flourish, to live from the deepest places in themselves because they are not inadequate. They’re more than adequate. May you learn the counter-intuitive gift of embracing your fear and finding that it is a reliable guide on the path to liberation. 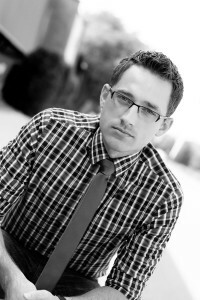 Brad Nelson is the director of teaching and worship at Mars Hill Bible Church in Grand Rapids, Michigan. A speaker, writer, and student at Western Theological Seminary (MDiv), he and his wife Trisha are the proud parents of two beautiful daughters, Braylen and Clara. "Remember, from ashes you came and to ashes you will return." We remind ourselves of the reality of death, but we know that in the end there is resurrection…and in that resurrection we find a love that is stronger than death. 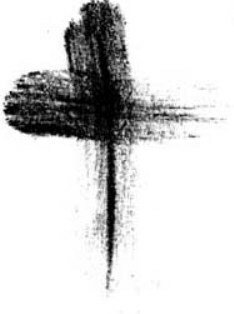 I’m grateful for what our church teaches us about Lent. I’m also grateful for how our church believes how vital it is to share our stories. They are powerful and remarkable and moving and somehow touch the deep places of the heart. Our stories “bear witness” to the life and story of Jesus and the work that allows him to be put on display…in us and around the world. One of the things that most frightens me about being a pastor is the experience of teaching on a subject that for all intents and purposes I have no business teaching on. I’ll never forget administering ashes at our first Ash Wednesday service. People shuffled forward and knelt at the bench, and I’d make the sign of the cross on their foreheads and say, “Remember, from ashes you came to ashes you’ll return.” Many of them wept, being sure to look you in the eyes and say, “Thank you” with such sincerity that it would bring tears to your own eyes. With every sign of the cross I felt my own inadequacy and need, and then out of the mass of people in line a man stepped forward and knelt at the bench. When he lifted his head up to be “ashed,” I came face to face with my former employer. I hadn’t left on good terms, and the moment took us both by surprise. There was nowhere for either of us to run, no way to avoid the moment, and as I spoke the words and marked the sign of the cross on his forehead I had the overwhelming sense that God was saying to me, “Do you see how serious I am about repentance?” I knew that putting ashes on his head would mean letting go of the grudge I’d been holding against him. It seems odd administering the medicine you need so badly yourself. So…as you enter this Lent season, may you find more of yourself and more of God. I remember that day when my phone rang. I was in the midst of cooking and entertaining and busy with children. The voice on the other side…it was sad. My friend’s mom had just been diagnosed with cancer. In that moment, I knew I needed to pause the life that I was standing in and join hers. I listened. She cried. I asked questions. She explained. My heart sunk with hers as the prognosis was undetermined and the treatment seemed so long and hard and painful. It was one of those moments when you just knew there were no perfect words to utter. You just had to be…fully present. I remember that day when my phone rang. My friend had called to tell me that she was expecting her first baby. She was soaring! Her dreaming and anticipation of how her world would change began. She was on top of the world and wanted to shout from the mountaintops, “I’m going to be a mommy!” I shouted with her and told her how elated I was for her. Her joy was overflowing and I wanted to be a part of her excitement. She needed me to celebrate with her…this baby’s life, her journey, her heart. Being in a relationship means there are moments when you are able to step into someone else’s experience and moments when you long for someone else to step into yours. We give. We take. We offer. We receive. It’s what comes with being friends. So, what makes friendships so challenging? Why do they hurt? Why do they end? Why do we find ourselves thinking about our relationships so much? Friendships have seasons. Just like the temperature outside changes throughout the year, our friendships evolve and transform. As experiences come and go, the way they change us and the way we respond to them impacts our relationships. Life can be both energizing and draining – on us and on our relationships. Sometimes, the expected events change our relationships (marriage, school, geography, career, babies, etc.). Sometimes, the unexpected events change our relationships (loss, crisis, illness, etc.). Both change how we interact with people…especially those who are close to us. Change will happen indeed. It’s in those seasons of change that we have the choice to “step towards” or “step away from” the people in our life. 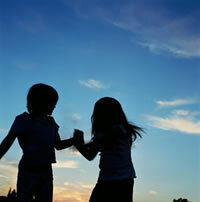 The relationship with a particular friend may deepen or diminish or even come to a close, and that’s OK. I hope we can learn what it means to “release” that person or “embrace” that person in new ways, depending on how life reveals itself. And then…have the grace to accept how that friendship changes. Fight for what is good. I love the people in my life who understand and believe in fighting for what’s good and true in a relationship. Yet, the motivation to pursue can wane, especially when disappointment surfaces. I hate to say it, but disappointment will happen when two humans are in relationship. There will be moments when one of us feels hurt or offended or upset or “missed.” This is life. It’s in these times of tension that can make us bitter or better. I choose to believe that stepping into the tension and the unknown and the awkwardness can change us…for the better. But, we have to be willing to face our fear and insecurity and trust that who we are is someone that offers strength and empathy and acceptance, and that how the other person responds doesn’t define us. We have to be willing to keep believing in the other person’s goodness…even when we get hurt. We honor ourselves and our friend by being honest about what is hard. It’s then that we have the opportunity to offer are true selves…our BEST selves. Believing that good can come from working through disappointment will allow our relationships to deepen and grow. And the kind of friendships that emerge out of working through conflict will be a gift…to both people. We all long to be needed. I know from experience that it feels good to be needed. Whatever it is that we are good at is what we hope the other person appreciates. This looks different for everyone. Maybe it’s being a mom or a caretaker or your wisdom or your stability or your compassion or your creativity or your fun or your availability or your insight or your ideas or your hope. Whatever it may be, it feels so good to know that the other person needs what you’re good at. But, what happens when that person no longer needs what you have been giving? That doesn’t feel good. All of a sudden you don’t feel wanted. It changes your relationship. Maybe that person found someone else to fill her needs. Maybe that person’s life circumstances changed what they needed. We may try to fix the circumstances or try changing who we are or begin analyzing why or become aggressive or fall passive. None of these responses are helpful and actually become really tiring. We can choose to take it personally and make it about us, or we can be confident of what we have to offer and believe that God will use our gifting in another way. So, as much as it satisfies us to feel needed, what if we focused more on what we gave…expecting nothing in return. We give because the reward is in how the giving changes us. So, whether you find yourself stepping into someone else’s life or someone else stepping yours, may you know that you have access to the Creator of the universe, equipping and empowering you to know how to respond in your relationships. My hope is that we can allow our hearts to be joined with the people who fill our lives, whether that is a moment of celebration or heartache. The people around you are a gift. May you receive and celebrate and affirm what they have to offer. You are a gift to the people around you. May you offer yourself in honest and beautiful ways…expecting nothing in return.